CLM has been active since 1980 in precision machining for the production of molds for electric heaters. This thirty-year experience demonstrates the great flexibility of the company in terms of technological developments in this industry and also considering the needs of the market in evolution. Over the years we have designed and built a wide range of customized equipments, oriented to meet the needs of the customers. From the supply of different spare parts for mill-machinery to the manufacture of machines for forming, bending, coining or pressing the heating elements. From the develop of welding station for finished parts to the production of coining-molds for flanges. We can also build transfer for bending, forming, pressing and final inspection of the product. 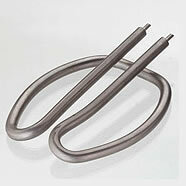 Furthermore we are able to manufacture the machinery for the production of bare-wire heaters. The precision machining requires special equipment, designed and customized for different customer’s needs. Our staff put at your disposal large experience in order to realize your projects, improving them with our competitive service. CLM produces equipment for precision machining by taking into account the needs of the customer in order to optimize the production process and create a safer working environment for machine operators. For example, our tunnel-oven for drying of the electrical heating elements is never empty. The operator can put inside the frames with the products to be dried in different moments, while those already inside the oven are automatically scaled to the first free position, so the efficiency of the drying device is increased. Our “mold open-device” avoid the operator to enter manually under the press to open the mold, so he can carry out his operation safely. CLM has developed and built also the bending heads single or combined to perform not-standard curves of heating elements up to 180°, that can be mounted on horizontal or vertical stands. This solution is ideal for small productions, now becoming pervasive, as it avoids investments in too expensive machinery for such kind of process. CLM also produces machines for turning of the armor, completely customized which can be adapted to different kind of processing through a simple replacement of the working- inserts. CLM can manufacture also static ovens for drying of the electric resistances, spiral welding-equipment on terminal with pilgrim process, device for seam-UDH of stitched wire heating elements and also equipment for the assembly of terminal loop. 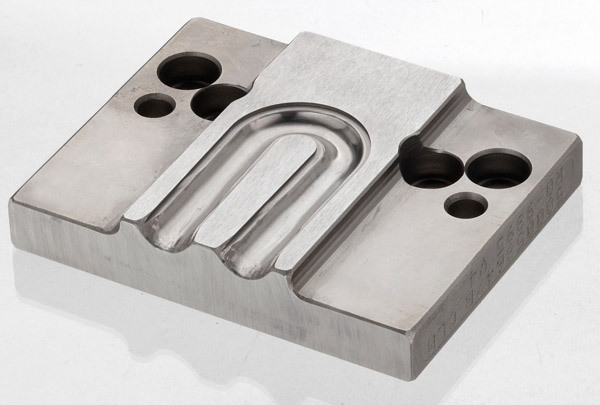 In the field of irons, CLM is able to provides transfer with fully automated bending operations at 180°, sizing, shaping and testing, and Pick & Place for the automatic loading of the resistance in the die-casting molds. Whatever your need for precision machining of electric heaters, CLM has the right answer!